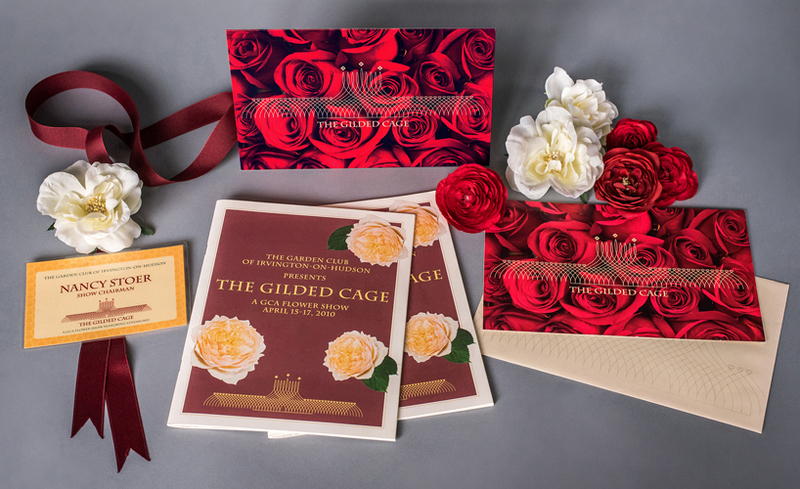 For 86 years, this club, a member of the Garden Club of America (GCA), has maintained the rose garden at Lyndhurst, beautified public spaces, supported local and national conservation efforts, and held popular events like Rose Day and an annual Garden Fair and Plant Sale. 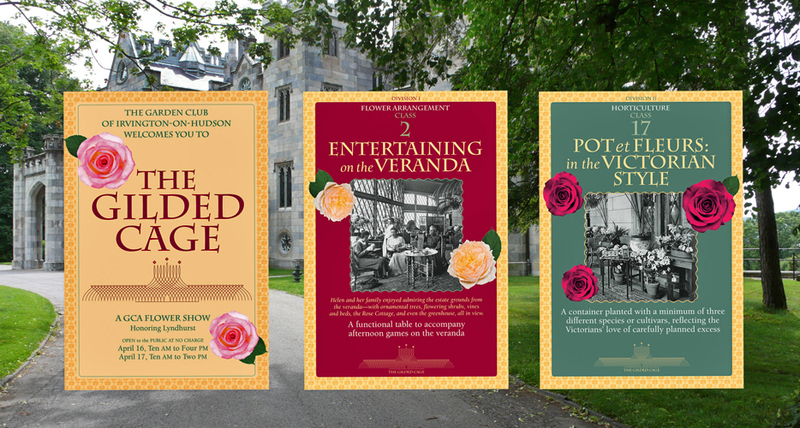 When Ellen Shapiro joined, it was time for a graphic refresh, with a suite of new logo options based on the gazebo at Lyndhurst, new ads and flyers, and regular horticulture newsletters with gardening advice for members and friends. 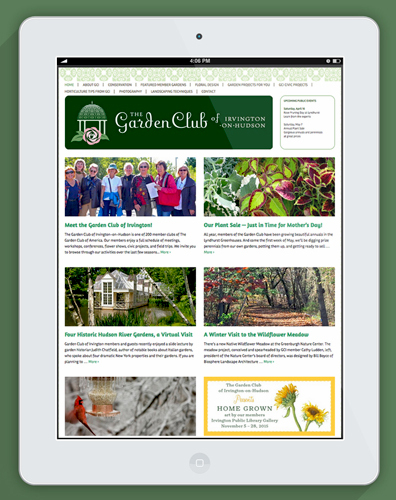 The website is the Garden Club’s public face, with information about events and civic projects, sections with horticulture tips for the community, and a special tab with featured members’ gardens, some of the most beautiful in the region. In 2010 the club held a flower show at Lyndhurst, which featured professionally judged exhibits of flower arrangements and plants grown by members of the Garden Club of Irvington and other GCA clubs in the region. This logo, based on the Victorian design of the Lyndhurst greenhouse, was selected for a special commendation in the LogoLounge annual. 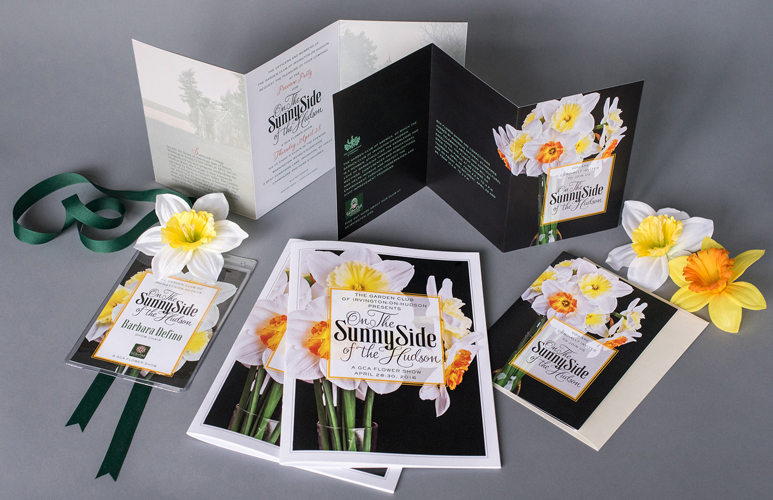 The suite of materials included a “schedule” or timetable for the event with descriptions of all the “classes” or categories in the flower show, the invitation to the preview party, name tags for club members, and posters and signage for the show. The show signage incorporated historical photographs in Lyndhurst’s collection. The club is planning another GCA flower show for May 2017. The logo was designed with custom typefaces from Washington Irving’s era (1783-1859). 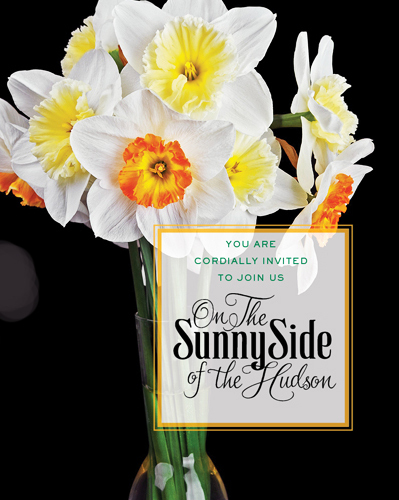 The schedule, invitation and promotions feature the daffodils that multiply every spring on the hillside at Sunnyside Restoration in Irvington, home of Washington Irving, whose legacy the show will celebrate.